British military communications satellite. One launch, 2008.06.12. The Skynet 5 program contract was signed by the EADS subsidiary Paradigm Secure Communications Ltd and the UK MOD in October 2003. 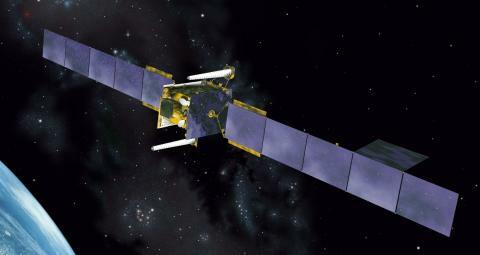 The innovative Skynet 5 contract was being delivered in an entirely new way, with Paradigm already having taken ownership and operation of the MoD's existing Skynet 4 satellites, and design and production already under way through its subcontractor EADS Astrium for the next generation Skynet 5 satellites (A and B) which were due to be operational in 2007 and 2008. The Skynet 5 contracting approach made Paradigm responsible for providing the MOD with turnkey satellite communications services, to be purchased by the MOD as and when needed. The total contract value through 2018 was expected to run to 2.5 billion pounds. EADS Astrium was responsible for the design, build and launch of two military hardened Skynet 5 military communications satellites, delivered in orbit. These satellites would feature: UHF and SHF payloads ; Secure satellite control link ; Anti-jam capability (Nulling Antenna) ; Multiple, steerable spot beams ; Switchable connectivity ; Support to legacy terminals. Skynet 5 communications service coverage would be enhanced through commercial augmentation: by existing commercial assets such as Global mobile - Iridium; Satellite communications - Intelsat, Inmarsat; Fiber - Cable & Wireless. Skynet 5 coverage availability could be enhanced through additional Paradigm launches driven by market demand; mutual back-up Memorandum of Understandings (MOUs) with other countries; and capacity leased from other military satellite communications systems. Family: Communications, Military communications sat. Country: UK. Launch Vehicles: Ariane 5ECA. Launch Sites: Kourou, Kourou ELA3. Agency: MoD, EADS Astrium. Bibliography: 6885.